The following people have been chosen from different organizations to be placed on banners that will be showcased on the East River Bridge. ABEL HAYDEN Submitted by Four Harbour‘S Branch #120, The Royal Canadian Legion. was the first President of Four Harbour’s Branch #120. Abel passed away in 1962. 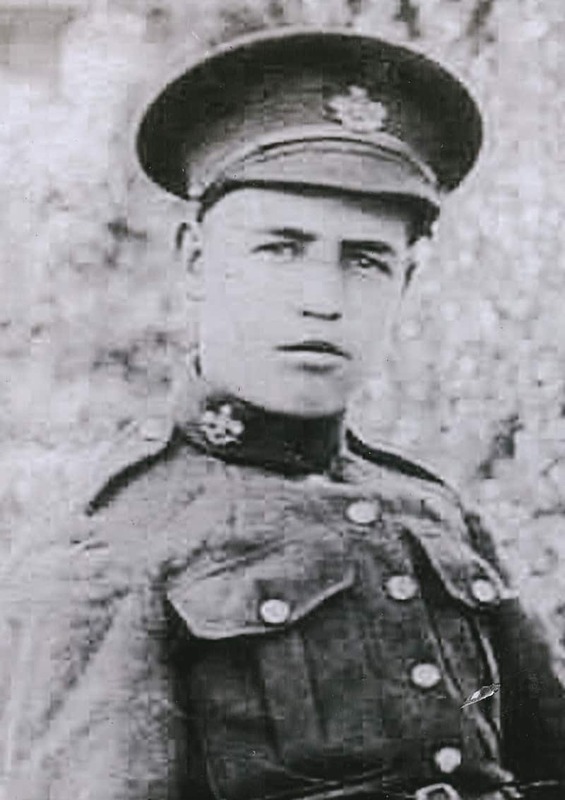 Albert was born on June 18, 1897 and was the son of Joseph Howe and Jane Hammond. He grew up in Shubenacadie-Indian Brook. Albert never attended public school, and would often tell the story of going to school for one day and never to return. On January 6, 1918 at the age of 18 he married Mary Elizabeth Paul aged 14. They moved to Elmsdale to start a family. On September 22, 1930 they moved from Elmsdale with their three children by horse and buggy to Sheet Harbour in fear that their children would be taken from them and placed in Residential School. Once in Sheet Harbour they settled in a new home on the reserve located on Church Point Road. Albert and Mary had 14 children, 4 boys and 10 girls. It was suggested from community leaders at the time that they not speak their native language so they could “fit in”. They did as was suggested and therefore their children were never given the opportunity to learn their native language. They were the first registered Mi’kmaq to occupy the Church Point Road Reserve. On December 24, 1955 a new 2 story home replaced the old house, the home is still there and occupied by one of their many grandchildren. Albert had worked at the pulp mill in Sheet Harbour until he became ill and could no longer work. He enjoyed hunting and fishing, telling stories of when he was young and often had a joke to tell. Albert passed on Sept 18, 1973 at the age of 76. Told by son James Howe and transcribed by granddaughter Dawn Howe Power. until her death in 1985.
would bake 30 or 40 Christmas cakes for the Christmas Run. David Fraser’s grandfather Alexander moved to Nova Scotia from Lochaber, Scotland in 1735. He landed in Pictou and received a Soldier’s Grant of 200 acres (Lot 58) from the Royal Garrison and moved to Sheet Harbour. He married Sarah Currie. David, Alexander’s grandson was born in 1828 in Sheet Harbour to the son of John & Mary (Lowe). David was a Master Mariner and shipwright. In 1873 he built the Schooner “Peerless”. David had seven children and passed away sometime after 1878. 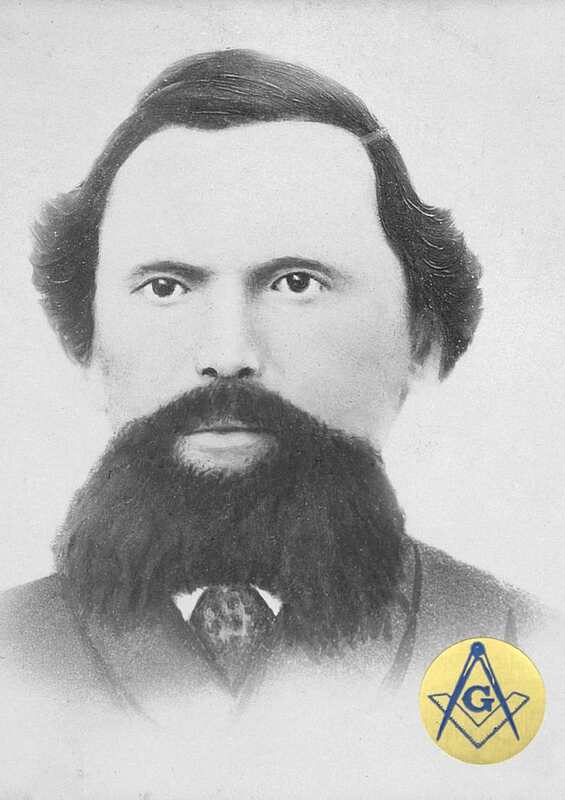 He was the first Master of the Eureka Masonic Lodge. Bobby’s obituary relates the following information. (The following is an interview with Anthony Farris, son of Bobby, and Penny, daughter). Dad let me drive the front-end loader when I was 6 or 7. I had to stand up to see over the dash. He used to put me in the vehicles to steer when he was towing them up over the bank (after an accident). He had me driving anything- truck, car, machinery. I liked that. I went to fires with Dad (had to stay in the car at Harry Hussey’s fire.) We went to Don Spears’ Lunch fire and Dad and I cut a hole in the ice of the harbour for water. Man, it was cold! I wasn’t allowed to go to the forest fire in the Liscomb Game Sanctuary, but Dad was there with his machinery and truck. It was never beyond Dad to buy strangers’ meals or train tickets. Another story was told by a member of the community that Bobby and Dolores provided for a single mother when she in need. Born May 8, 1940 in Antigonish to Beulah (Moser) and Lewis Sharpe. Dennis got his early education in Moser River taking Grade 12 with another student at the former IOOF Hall with Marie Miller as their teacher. Upon completing Grade 12, he went to Halifax to obtain work. He worked at Imperial Oil Ltd for six months and then found employment with the Federal Government at HMC Dockyard in Halifax. He worked at the Dockyard for 35 years retiring in 1995. Upon retiring he moved back to Moser River where he became involved with community organizations. He was the President of Moser River and Area Historical Society, Secretary of the Moser River Board of Trade, a member of the Moser River Community Centre where he organized the parade for Moser River Days. He was a member of the Riverside Cemetery Committee and a member and Trustee for the former St. Andrews United Church. He was Secretary/Treasurer for the Moser River CAP site which operated from the back room of the Post Office for 10 years and in later years from the McMann House. He was also involved in the Wednesday night Music Night at the community Hall. The children of Doug Murphy nominate our father for consideration for the Sheet Harbour Heritage Project. of honesty, respect and the act of giving. Squadron. He was a mechanic/truck driver, responsible for ensuring the planes were prepared for flight. continent.” He travelled through France, Holland and Germany setting up and taking down the air strips. Dominion of Canada.” He was very proud of his country and community. Harbour office when roads were unfit/impassable from snow/ice. Olympic Torch Relay in Sheet Harbour in 1987.
there is still a strong presence of baseball in the community of Sheet Harbour. This was Dad’s passion. well that was an added bonus. He coached many young men in our community and to date many of these men will speak of Dad’s contribution to their life. There’s always a “ball story”. He continued his passion as an umpire in the current co-ed league until the age of 85. When he could no longer stand that long to ump a game he handed his ball counter over to his son Doug, and he took his place sitting in his van watching every game, still giving pointers to the players who would stop by the van to say “HI”. He was proud to see his children, grandaughters, grandsons carry on his passion for the game. He was also proud to see the children of all the children he drove to the games and coached grow to be respectful human beings. It made him proud and he made us proud. He attended the games until his end which was a true dedication to community and the importance of volunteers. Written by the children of Doug Murphy. Duncan was born and raised in Malay Falls. He obtained his early education in a one room school house. During his teen years Duncan was employed in the pulp wood camps and was a hunting guide, escorting hopeful hunters through the woods in Malay Falls. He moved to Dartmouth in the 1950’s and was employed with NS Power reading meters; Jacobson Clothing Store in charge of collections; and weekends and nights at Dartmouth Funeral Home. During his stay in Dartmouth he organized the first chapter of Big Brothers in Dartmouth and was the Founder and President of this organization from 1968-1969. 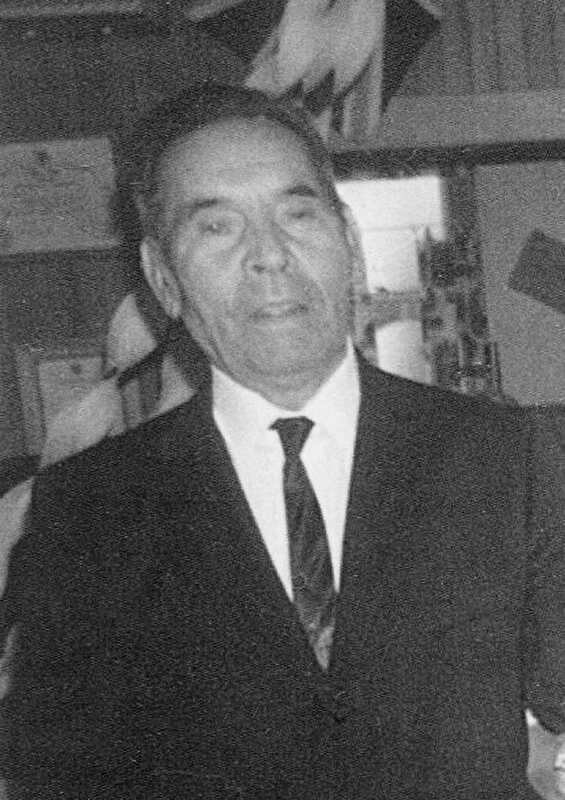 He returned to Sheet Harbour with his family in 1970 at which time he purchased the Funeral Home and Ambulance Service. 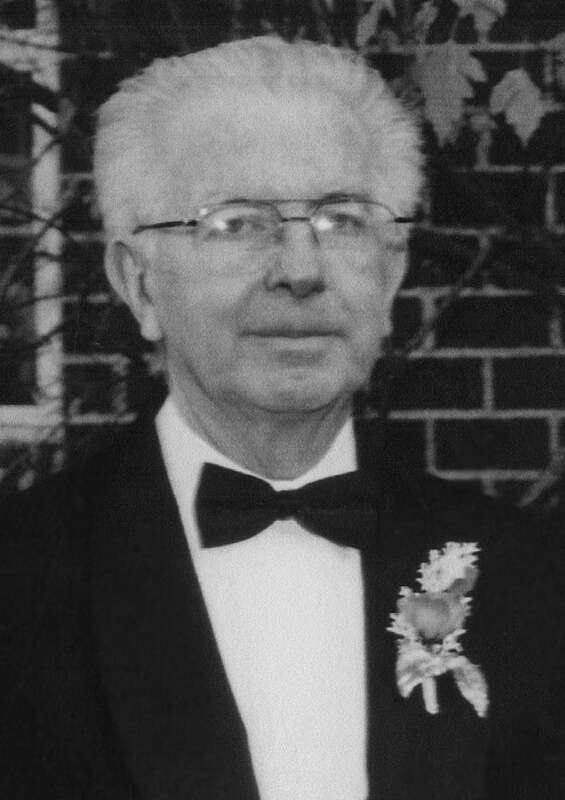 In 1974 he obtained his Funeral Director and Embalmer license. He owned and operated DS Crowell & Son Funeral Home from 1970 until his death in 2011. 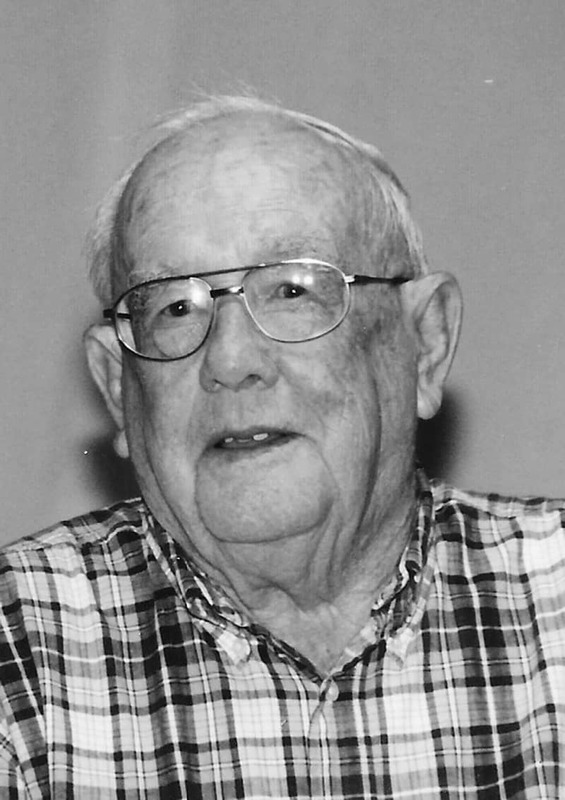 He owned and operated Crowell’s Ambulance Service from 1970-1997. Duncan provided employment for many during those years. In the early years of his business his employees were young men attending school and working. His employees throughout the years were local men and women and many of them continue to be employed with EHS to date. Duncan was very hands on in his company, transporting thousands of people to hospital and by providing excellent care and support to all. 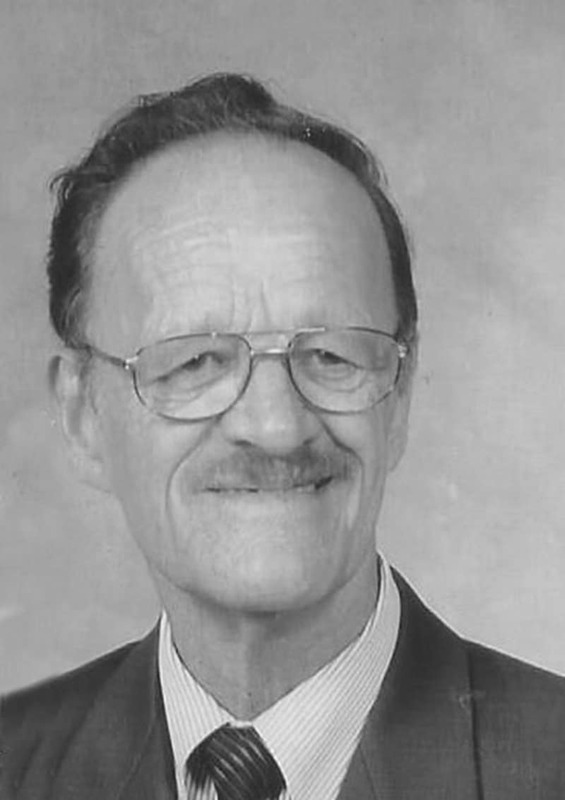 He taught Standard and Emergency First Aid along the Eastern Shore for many years. He provided personal compassionate care to many families of the Eastern Shore. Harbour Lions Club; an Elder in St. James United Church, Lochaber Mines; past member of the Eastern Shore Memorial Hospital, and Duncan MacMillan Nursing Home Board. 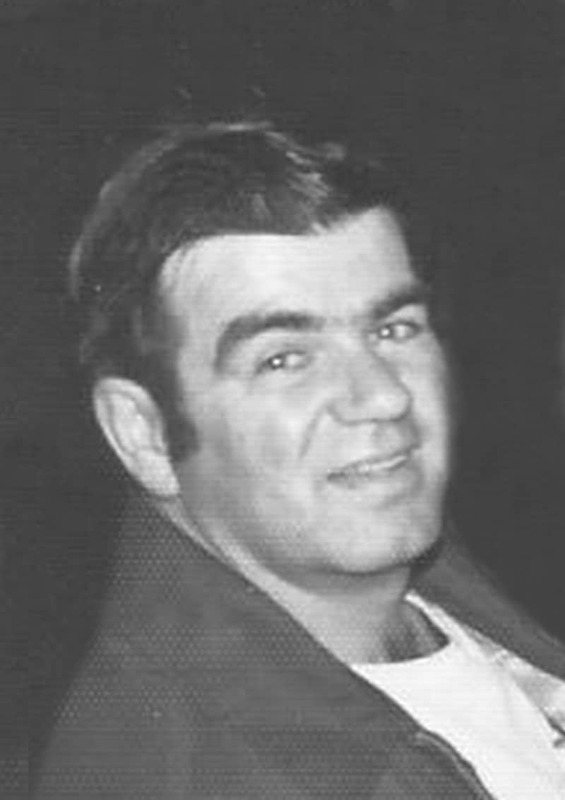 He was instrumental in the organization and building of the Sheet Harbour Pool, Beaver Canoe Club and Playland Park. He instilled in his family the importance of respect and compassion which was a part of his daily life. He led by example providing care and compassion to all the families he encountered. He supported his community both professionally and personally. Helen was born on Snow’s Island, Harrigan Cove 16th February 1927.
better than spending time along the river banks of Sheet Harbour. best food in the town. Helen enjoyed cooking and baking and gave away more than what she kept. 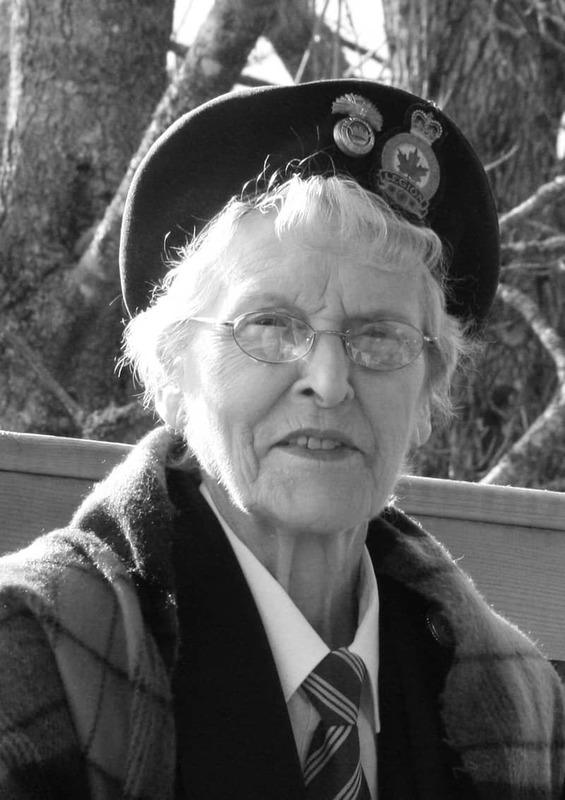 member of the RCL Sr. #58 Legion, Sheet Harbour and called it her branch. Helen started what the Legion calls muffin morning on Wednesday’s where members and the public could come in and enjoy her cooking and conversation. On every new years levee the Legion serves what we call Helen’s famous moose milk. and was a great friend to have at your side. I would like to nominate my father Howard Coady to be included in one of the volunteers honored on the banners along main street Sheet Harbour, not only because he was my father but he was truly one who gave back to his community in many ways, even though he had a busy job as a Halifax East Forest Ranger from 1947 – 1976, he found time to volunteer. In 1935 Howard was one of the first volunteer firemen to form the Sheet Harbour Fire Department and remained a member until 1970. Also in 1935 he was one of the first members of the Sheet Harbour Board of Trade and a past chair. He remained active until the 1980’s. A member and past chair of the the Duncan MacMillan Nursing Home board; a member and past chair of the Duncan MacMillan High School Advisory council; and a member of the Sheet Harbour Boy Scout Group Committee. 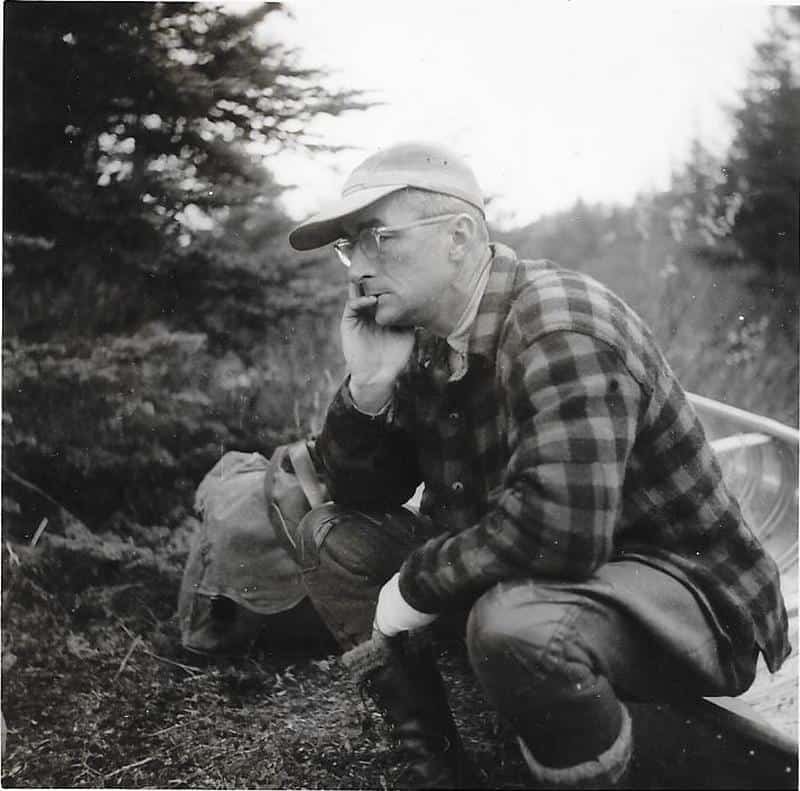 Howard was a local historian who in 1988 wrote and published the book “Sheet Harbour History, from the notes of an old woodsman”. Eastern Shore Learning Opportunities for Women, ESLOW, was established in April 1982 by a dedicated group of local women who saw and experienced the needs created by poverty and isolation. Among the founding members was Margaret “Margot” Comeau Metcalfe. Born Marguerite Marie Comeau, in Saulnierville, Digby County, in 1923, she was a tenth generation Acadian whose ancestors settled in Port Royal in the 1630s. Her father was a prominent local businessman, and Margot grew up in a bilingual household, in a predominantly francophone community. As a young woman, she studied with ceramist Alice Hagen before taking home economics at l’Université de Montréal. In 1943, she started working for the Nova Scotia Department of Education, under Mary E. Black, to teach weaving around the province. In the course of that work she met her future husband, David Metcalfe, a native of Glace Bay, whom she married in 1946. Together they raised three children, Margot, Billy and Robin. David’s work in mining, surveying and construction kept the young family on the move, across Nova Scotia, Ontario, Massachusetts, Washington State, Newfoundland and New Brunswick. Margot worked regularly outside the home, starting in the mid 1960s. Putting to use her formal training in home economics and crafts, she quickly established herself in a number of responsible positions, teaching special-needs students in St. John’s, NL before becoming provincial director of Red Cross Youth in New Brunswick in the late 1960s, and then head of occupational therapy at the Abbie J. Lane Memorial Hospital in Halifax in the early 1970s. She left that position to follow David’s work to the Sheet Harbour area, where they lived on Sober Island before purchasing a home in Sheet Harbour Passage. Chronic ill-health led to David’s death, at 57, in 1982. Margot was devastated by the loss. 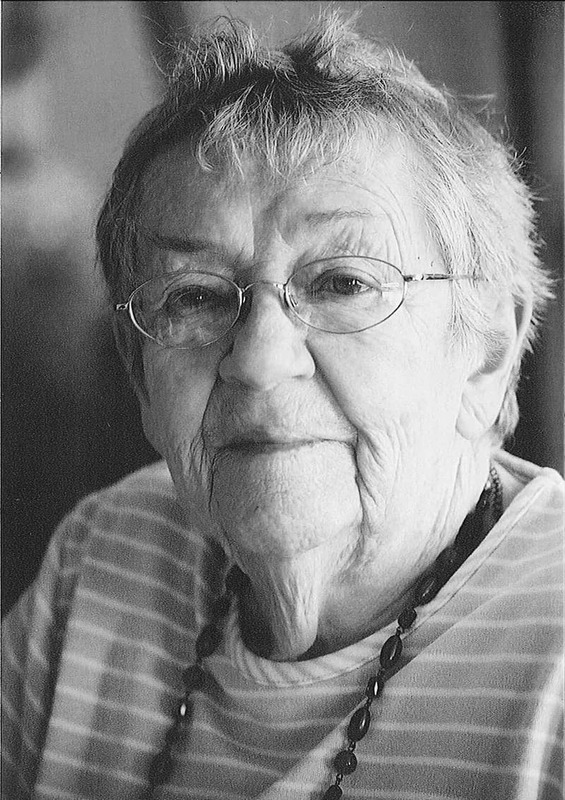 Never one to be idle, however, she practised several arts and crafts, notably sewing, crochet and rughooking; was a regular participant in the annual Topshee Conference in Antigonish; and became active in organizations concerned with the health and education needs of rural women. In April 1984 Margot was hired and shared the responsibility of the Coordinator’s position in setting up a resource centre. On January 31, 1985 LEA Place Women’s Resource Centre was officially opened. LEA means a meadow or green pasture, a place to grow; a place for women to Learn, Enjoy and Achieve. LEA Place is a non-profit community-based organization that provides direct service and programs to women, adolescents and youth. Over the years, Margot worked and volunteered at the Centre to provide a safe and supportive environment at the women’s centre. Margot was among the many women in the province who were involved in the founding of the Women’s Action Coalition of Nova Scotia and Women’s Centre Connect, the provincial association of women centres. Margot’s dedication to the women’s movement helped shape and define the women’s movement in our area, especially the women who were often marginalized in our rural communities. Margot was someone who was attuned to the needs of others and helped create a vision of new hope and possibilities for the women in our community for generations to come. Without a doubt, Margot would not have expected to be celebrated as a woman of courage and vision. Yet, she demonstrated the courage to pave new paths, to push past what was considered safe or appropriate at the time and in doing so. She created an expanded vision for the LEA Place that was possible for all of us to achieve and build upon, for which we are thankful. Her vision was for the rights of women, believing that all human beings should be treated with equal justice and respect. Margot is remembered as an active, vibrant woman, committed to her work for women’s rights. LEA Place will treasure Margot’s memory and her dedication, not only to her tireless effort and passionate work on behalf of women, but to the dignity and hope she helped to restore to many women’s lives. In honor of Margot’s passion for education, whether formal or informal, LEA Place Women’s Resource Centre decided to dedicate, to LEA Place’s founding mothers, the Duncan MacMillan High School Annual Bursary to a young women entering post-secondary education. 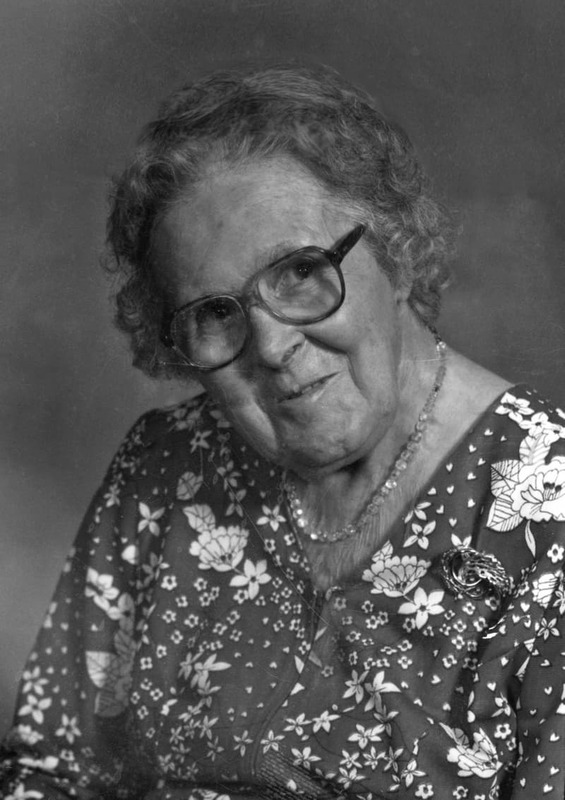 Pearl was born on August 26, 1898 in Sheet Harbour to Alice (Hall) and John Rutledge. In her early years before she married she taught school in the community of Moosehead. She married William (Bill) Alexander Lowe on December 23, 1919 in the Spry Bay Anglican Church. Bill and Pearl built their house in Watt Section where the# 374 road is now. They were pioneers in the lumbering business, having a portable saw mill and over the years operated many lumbering camps employing many local people and people from overseas (Poland, Czechoslovakia, and more countries) during and after the war over the years. Pearl was very much involved in community activities. She was organist in the Anglican Church in Watt Section for over 50 years. She gave piano lessons to many children over the years. She held the office of treasurer and secretary for the Anglican Church for many years. She also worked for the Red Cross raising money for The Hospital Auxiliary and The Nursing Home. She would sew, knit and crochet for the church picnics. She also did the cooking in the lumber camps for the men, and some winters she stayed in all winter with her children when they were young. In the spring she would bring out all the wool blankets and make a fire outside with a large pot of water and boil the blankets to clean and sterilize them for the next season which helped control diseases and viruses. letter saying that John, or George whatever their name was and she would say that they had visited for a few days. That way the families knew that they were in Canadian waters. She heard from the men and their families for years after and they often exchanged Christmas gifts. She also worked helping raising donations for the Home for Children, an orphanage, in Truro, I remember as ‘a small child going at Christmas time to deliver packages for the Children from the Church, but I don’t remember the name of it. She was also an avid flower gardener and she provided the community with flowers for weddings, funerals and also church supper tables. Pearl worked for her family, the lumber business, her church and her community all of her life. I believe that these women who worked in the shadows of others deserve to be remembered and recognized for their contribution to their communities. 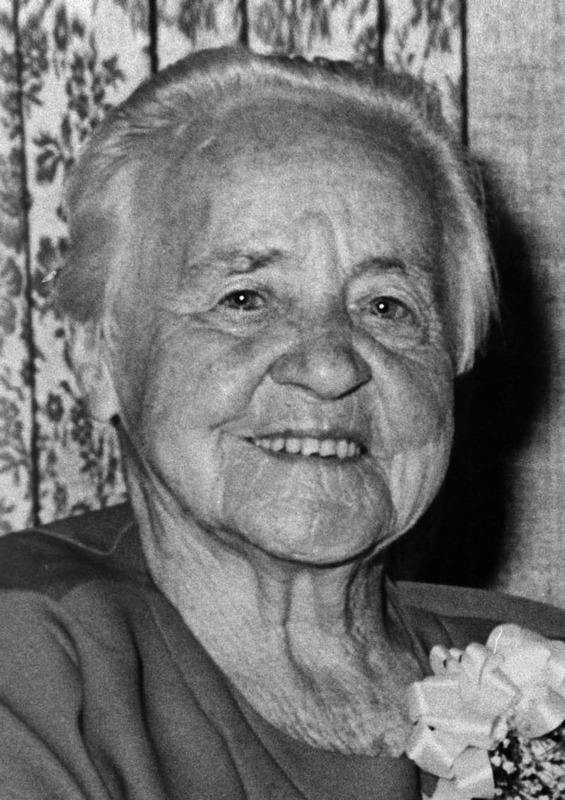 Grandmother Pearl Hall Lowe as an unsung hero, and a woman who helped build the community of Sheet Harbour. Written by granddaughter Sue Henry.